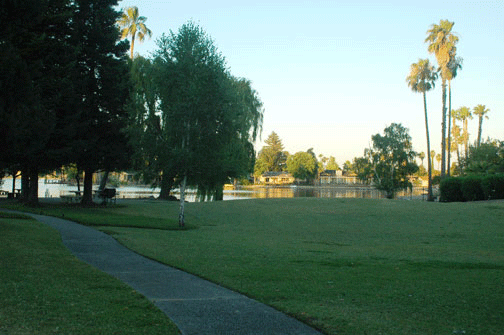 Serene, beautiful and right on lake, The Meadows at Country Place is part of the Lake Greenhaven Association, in Sacramento, which maintains a private park. The park is located just a few yards away from the end of Country Place cul-de-sac. It is like an extended backyard, and quite convenient for friends and family to take their loved ones out for a short stroll or a family picnic when they visit. Sometimes, all it takes is a little fresh air to get you going again. The most appealing feature of our care center is its central location in the outdoors. We have our own slice of nature and we plan several outdoor activities for residents to enjoy. Whether it’s a walk to the lake or stepping out onto the courtyard to watch a sunset, one can always appreciate a little green space. A walk is always improved by the company of a companion. You are invited to enjoy an outdoor adventure with your loved one. 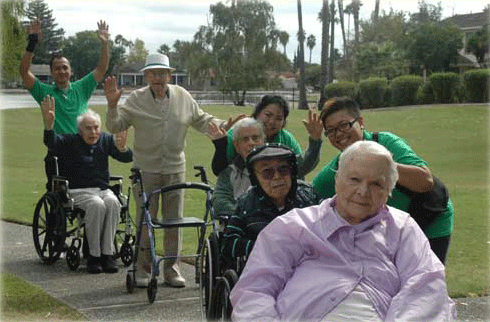 Family members are always welcome to visit at our care center, and we encourage residents to get outside and explore with friends and loved ones.